I’m a last minute traveler. Ok, most of the things I do these days are last minute. That even includes whether or not I want to go to a conference that is next weekend. Some of my friends don’t understand how my non-planning ways. Been there, done that, not my thing right now. Because I am so flexible with my time, I can often find some tremendously good travel deals. We are not living in the times anymore of when you needed to plan your travel itinerary months out. 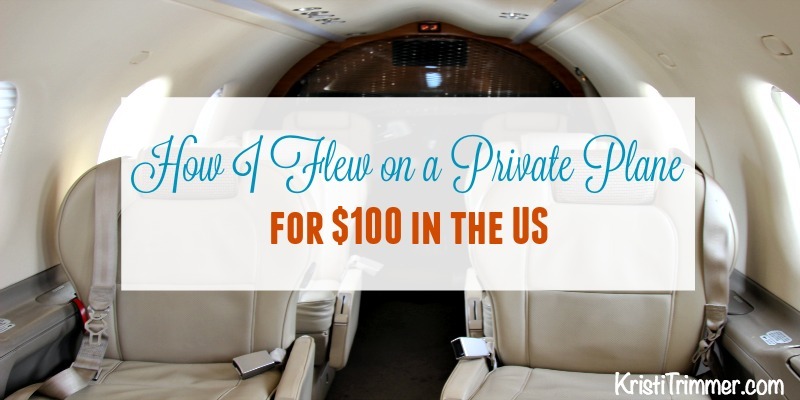 Here is my story on how I flew on a private plane for $100 in the US. If you visit Alaska, flying on floatplanes is a way of life. I had been home in Phoenix, Arizona, visiting family over the Holidays. The first week of January is the annual pilgrimage to Las Vegas for CES. Initially I wasn’t going to go. My dad had complications with his surgery and it looked like I was going to be stuck in Phoenix even longer than expected. Then we received good news when the tests came back and I grabbed my laptop and started figuring out if I could make Vegas work. CES Press Pass. Flight. Hotel. In that order. 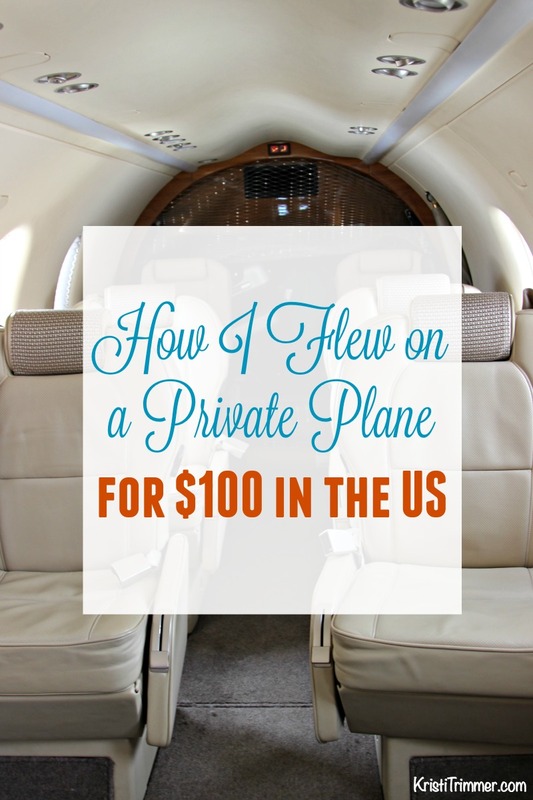 But seriously, how did I score flying to Vegas for just a $100 on a private plane? So How Was the Flight? The Press Pass was easy as I had been press for CES for the last four years. Next up was finding a flight. Did you know it costs more to fly from Phoenix to Las Vegas than it does to fly from Phoenix to Chicago or New York? I’m not kidding. One-way flights were close to $200 and Vegas was only a few hours away! flights.google.com: This tells me the price range for what I’m looking for. I can search the whole month and see when flights will go up or down in price. I then will head to the specific carrier to see if their flights are cheaper at all. Southwest Airlines: They don’t put their flights on any of the search engines, so you have to go to them directly to see if they have a good deal. One thing to remember about Southwest is that you get two bags free up to 50 pounds. That alone has me flying with them when I can. I’m traveling in the US right now out of one suitcase, it is always around 50 pounds, so two free bags means a lot to me. Expedia: Often times I can find killer last minutes deals on Expedia. Some of the ones recently even have free car rentals included with the flights or when you add on a hotel room. Make sure to check them out! Hopper Flights: This app tells you when to fly and buy. I set up an alert that pings me when there is a shift in the industry. It has been a great predictor of when I need to buy a flight now or wait a minute. The only negative thing about this app is that it only does Roundtrip flights and not One Way. It is on both in the App Store and Google Play. One Way Flights: That brings up a good point, only search for one way flights to get the best deals. Period. I went to both Expedia and CheapOAir to compare their prices. Sometimes they will run 10-15% off fares – a lot of times I don’t hear about them in my affiliate channels or in my travel groups, they just kinda pop up, kinda like a Travel Fairy. This time though, it wasn’t a discount, but an airline I had never heard of. I saw this airline called Boutique Air and went ahead and Googled it. I don’t fly low-cost airlines like Spirit or Allegiant, especially when I have luggage. I am not a fan of being nickel and dimed with I fly. I want one price and call it good. I looked up their website and honestly couldn’t believe what I saw. It was a private airline where you could charter the whole flight or just a seat. The planes looked amazing! I read everything on the site and then went back to CheapOAir where I saw it and booked it, as it was $88 cheaper on CheapOAir than on their website. They only had one flight per day and it fit perfectly into my schedule. Booked! There were a couple nuances with the flight that I wasn’t aware of until the night before takeoff. On the website it states that you fly out of Terminal 2 at Sky Harbor in Phoenix. That’s not really the case. You fly out of the Cutter Terminal, which is different than the Executive Terminal. If you do end up going to Terminal 2, they will shuttle you over to the Cutter Terminal, which is about 10 minutes away. You also don’t land at McCarran International Airport in Las Vegas, but rather the Henderson Executive Terminal. They offer a free executive car service to take you over to McCarran. 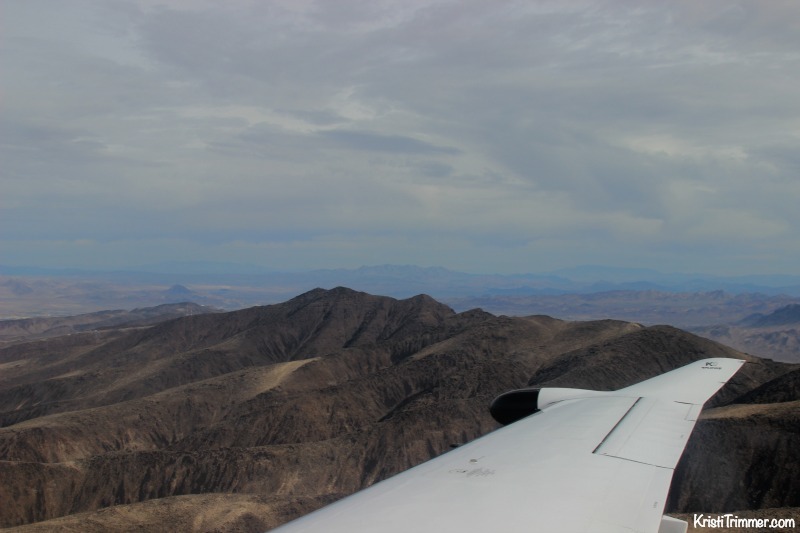 Just add an extra 30 minutes into your itinerary for both the departure from Phoenix and the arrival into Las Vegas. There were eight seats available on my flight and only four passengers. Once everyone was on the flight and buckled in, we took off – 35 minutes early!! That never happens! No need to wait when everyone is on board and ready to go. Nice! One of the nice perks of flying on a private jet was that there were no bag restrictions, either on weight or on how many you could have. If they couldn’t fit your bag on that flight, it would go on the next available flight. I was worried I wasn’t able to get all my camera gear and luggage to Vegas for CES! This small feature took a huge weight off of my plate. Storm Trooper Luggage – I need this in my life! For $100, Boutique Airlines under promised and over delivered on one of the most awesome flying experiences I’ve had. The leather reclining seats were super comfortable, their staff was gracious and courteous, and everything about the flight was top-notch. 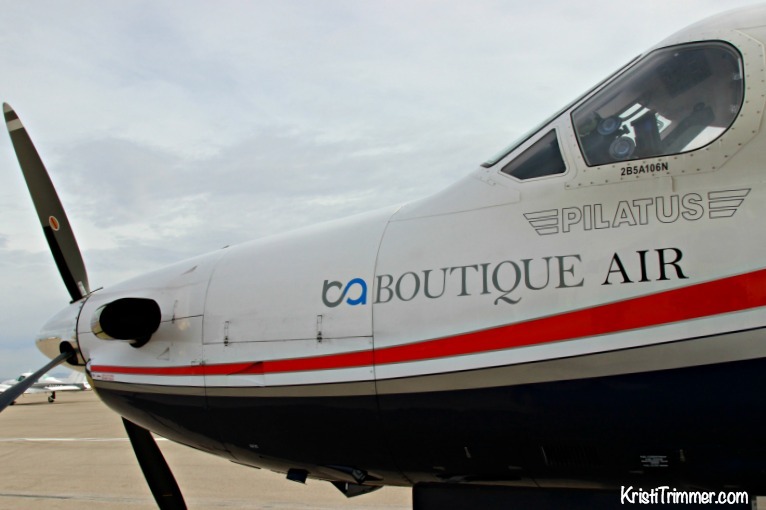 Before I search for my regular flights, I will first pop onto Boutique Air’s website to see if they service the flight I need. If they do, you can bet I will be flying with them again. 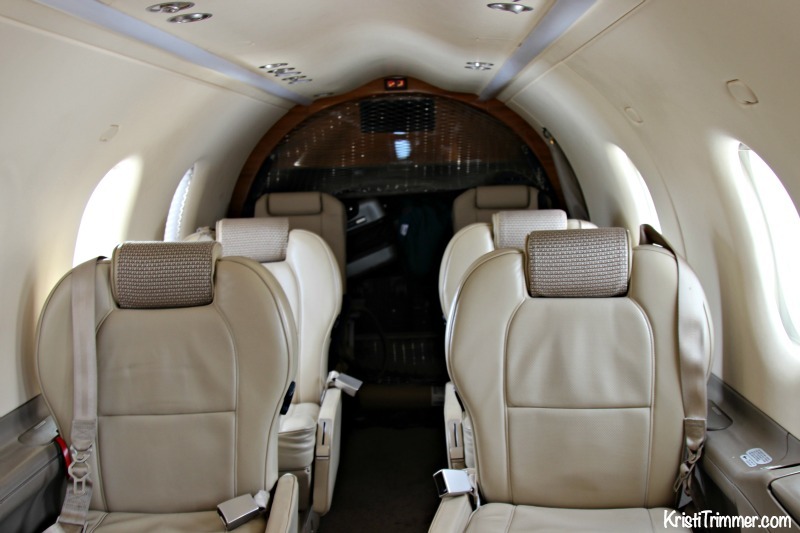 On average, they are $188 one way and you can charter the entire plane for $1500 an hour. That’s not bad for a private plane! And nope, this wasn’t a sponsored post! « One Green Smoothie A Day for 72 Hours. That’s It. Fantastic! Private jets are fabulous. I never knew you could get one that cheap. Thanks for sharing.